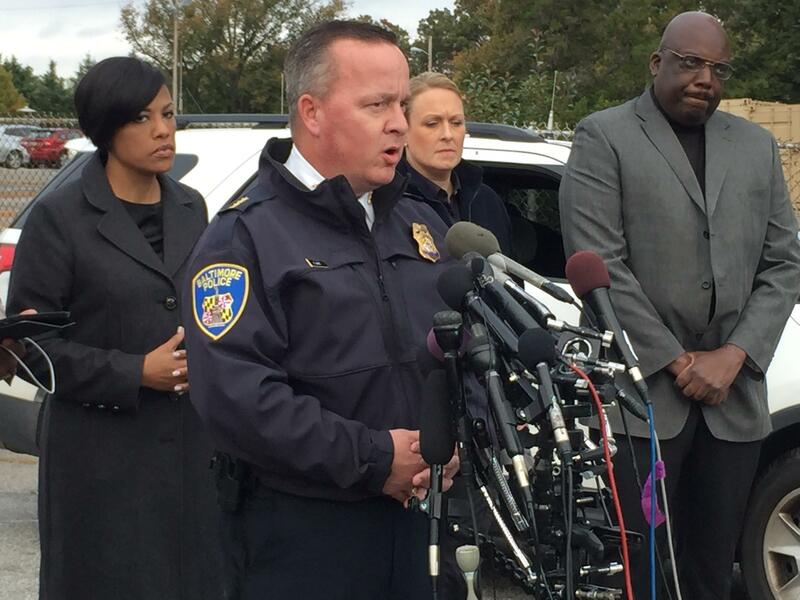 Baltimore Police Commissioner Kevin Davis speaking at a news conference with Mayor Stephanie Rawlings-Blake, NTSB Investigator Jennifer Morrison and MTA Spokesman Paul Shepard. Morrison, who is in charge of the team, says they will look at several areas including motor carrier operations and human performance. 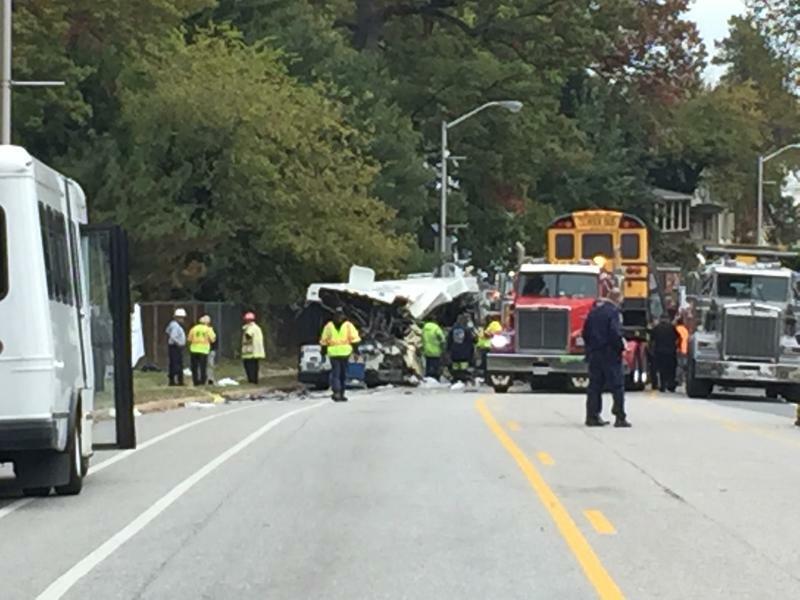 Baltimore Police said the school bus involved is owned and operated by AA Affordable Transportation of Baltimore. The company has a contract with Baltimore City Public Schools. According to WBAL-TV, the company has had no federal violations or penalties in the last two years. The bus was about to pick up students heading to Dallas F. Nicholas Sr. Elementary School in North Baltimore. Only the 67-year-old driver and an aide were on the bus when it struck a fence at Loudon Park Cemetery in the 3800 block of Frederick Avenue before 7 a.m. Tuesday. It bounced off the fence and rear-ended a Ford Mustang. The bus then caromed a pillar at the cemetery entrance, then into an oncoming MTA bus on the driver’s side. The drivers of both buses – including a 33-year-old MTA operator – were among six people who were dead at the scene. “This tragic day is something you can never plan for,” said MTA Spokesman Paul Shepard. “The MTA is really a family and our family is really wounded today,” he added. Maryland Transportation Secretary Pete Rahn, in a statement, offered condolences to those affected by the accident. “Our thoughts and prayers are with the families who lost their loved ones and those Marylanders helping family members recover from their injuries,” he said. The school bus aide was among 10 people injured, including the driver of the Mustang. Mayor Stephanie Rawlings-Blake said while Baltimore is a big city it becomes a small town when tragedies like this happen because of the connections to those who died. Governor Larry Hogan also expressed condolences to the victims and their families. He pledged full support of the Baltimore Police Department as they investigate the accident and offered state assistance.